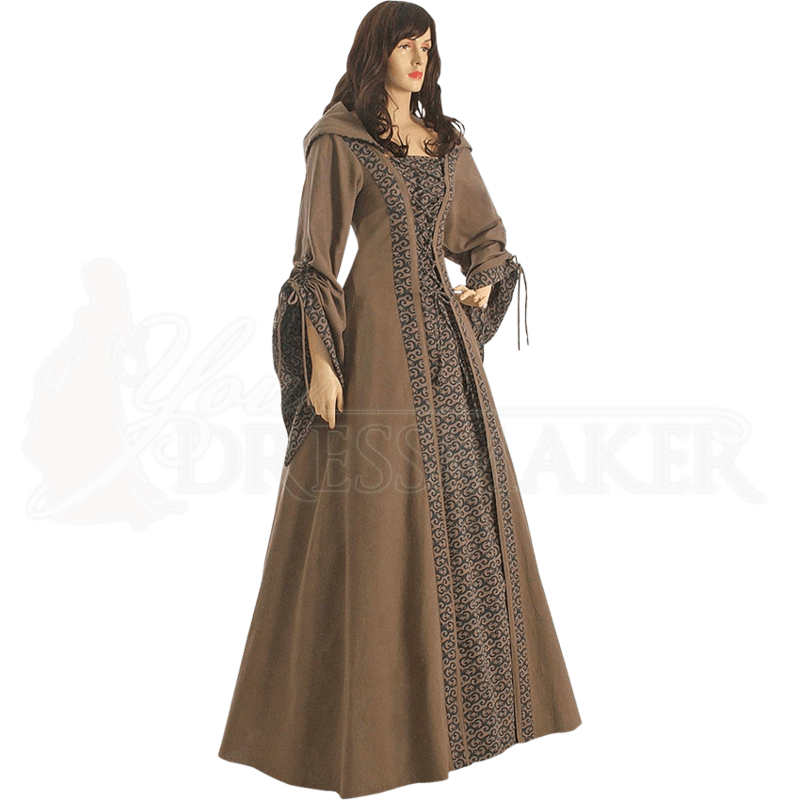 The Brown Medieval Maiden Hooded Dress is made from 100% cotton. The design features solid brown on the outside of the dress and a brown and black swirl pattern on the front panel. The same swirl pattern is used as an accent trim along the sleeves, the hood, and on either side of the front panel. The Brown Medieval Maiden Dress is a one piece dress that closes with lace in the front and back letting you adjust it to perfectly fit your shape. The Brown Medieval Maiden Hooded Dress is great for Medieval Weddings, Renaissance Fairs and Medieval re-enactments.